It's not quite possible to turn down piping hot good old pies. Freshly baked, the aroma of the rich filling and tyhe buttery pastry crust is enough to stop any passersby in Boat Quay for a bite or two. The Gourmet Pie Company is fast becoming the epitome of great tasting handmade quality pie where only the finest ingredients like Australian beef and New Zealand lamb are used. The tedious process which took months of perfecting the third generation recipe, while incorporating local flavors, proved to be fruitful. 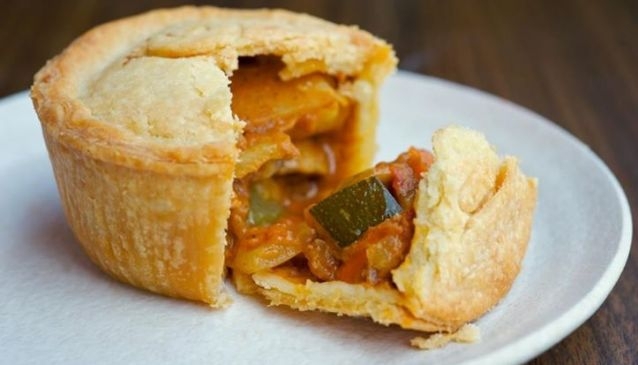 A selection of savoury pies including Beef Rendang and Thai Chicken Curry are definitely a must try.